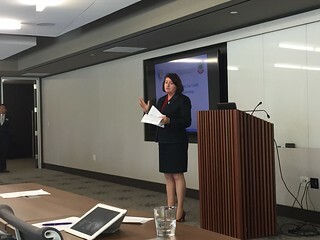 On Friday last week, Assembly Speaker Toni Atkins and more than 40 San Diego businesses attended the first workshop for the Cal Competes Tax Credit Program this fiscal year. Now in its second year, Cal Competes is attracting the attention of a diverse set of businesses all over the state. Last year, California awarded $175 million in tax credits and this year, the program is set to award more than $200 million to the most competitive applicants in three separate funding rounds. 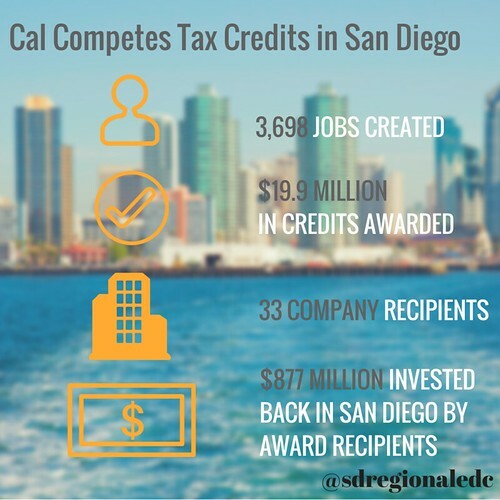 Cal Competes allows businesses to request a tax credit based on their investment in state and the number of employees they hire in the next five years. Determining how to effectively select a competitive ask is where the EDC team can step in to provide specific insights. Our goal is to help as many companies as possible put their best foot forward. In previous rounds, EDC has worked closely with companies like NASSCO & BAE to submit applications. If your business is planning to incur significant expenses in the next several years in either capital investments or new hires, EDC is ready and willing to help you join the 33 San Diego County companies who won credits in the first year of the program. These are your tax dollars. Why not win some of them back? We all have to start our career somewhere. And that ‘somewhere,’ whether it’s running the local paper route or dipping cones at the local ice cream shop, has a strong impact on the rest of our careers. While these first jobs may not uncover one’s lifelong passion, they often do translate into invaluable skills you carry with you for the rest of your career. That’s one reason why CONNECT2Careers (C2C), a youth summer employment initiative administered by the San Diego Workforce Partnership (SDWP), has launched the #MyFirstJobSD video campaign. To raise awareness for the need to increase youth employment in San Diego, C2C asked a number of prominent San Diegans to reminisce about their first job—what it was, what it taught them and what advice they would give their younger selves. The result is a series of short, inspiring #MyFirstJobSD videos. Featured San Diegans include Mayor Kevin Faulconer, NBC 7 anchor Marianne Kushi, San Diego Regional Chamber CEO Jerry Sanders, and State Assembly Speaker Toni Atkins. New videos will continue to be released through June. C2C encourages San Diegans to use social media to spread the word about the #MyFirstJobSD campaign, share your first job story using the hashtag, ask others what their first job was, and keep the conversation going.